PINA LAZARA – Spiritual healer/ spirit medium/shaman. Its difficult to describe the work that Pina does and the profound effects that work has. Of those few genuinely gifted healers I have encountered, she stands alone. 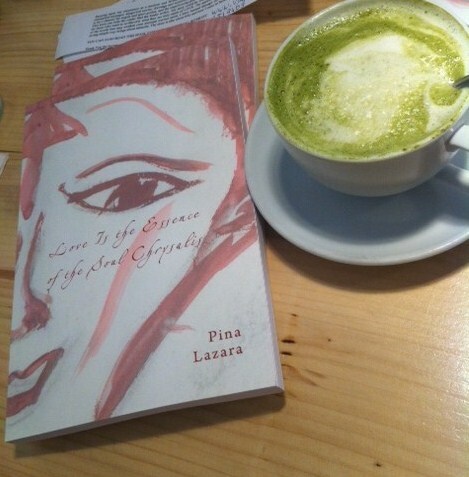 Pina Lazara is tuned in, big time. I imagine she was born tuned in. She’s a lady with a huge heart, old wisdom and great sense of humour. She works with the kind of certainty and ease that can only come from knowing that she is doing exactly what she was born to do. She knows that she is not the source of the healing. But she also knows that she is an unusually clear channel through which healing passes.To find a ‘lightning rod’ like Pina Lazara is a very rare occurrence. I’m sure she doesn’t know what she will do for you until you get up on the table. Like all those with great talent, she goes with the flow, in the best sense of that phrase. “Het is moeilijk te beschrijven wat voor werk Pina doet en wat voor diepgaande resultaten haar werk heeft. Van de weinige oprechte begaafde healers die ik heb ondervonden, staat zij alleen. Pina Lazara is enorm afgestemd. Ik bedenk mij dat zij zo erg afgestemd geboren is. Zij is een vrouw met een heel groot hart, oude wijsheid en een geweldig gevoel voor humor. Zij werkt met een gevoel van zekerheid en rust dat alleen maar kan voortkomen wetende dat ze precies het werk doet waar zij voor geboren. Ze weet ook dat zij niet de bron van de genezing is, maar zij weet wel dat zij een ongewoon helder medium is waardoor de genezende energie doorheen stroomt. 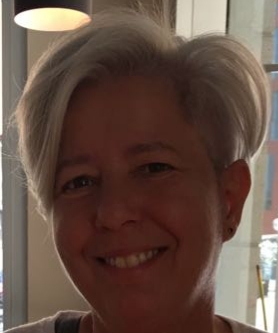 Hi, I am Pina, 59 years young, originally from Amsterdam. A mix of Dutch and Spanish, living and working in Ireland/West Cork since 1998. I am a spiritual healer/spirit medium/ shamane/ conduit for healing and well-being who encourages the release of grief, fears, emotional/physical pain. You do not need to be sick, in pain or sad to come for a session. Some people just come to relax, or like to experience the spiritual aspects of the session. I use a form of hands-on healing, and integrate this as a support towards regaining trust, inner strength, inspiring and encouraging you to make changes essential for your personal growth and development. I do this by receiving Angelic energy and allowing Ancestral Guides to work through me. Angel healing helps us to open up to divine guidance and direction. With hand placements, I target and release layers of blocked emotions and trauma, allowing them to surface and leave the body. Repressed emotions, sometimes from early childhood, can prevent us from living effectively in the present. These emotions can affect our behaviour towards others and the way we view life. IET is an integrated energy therapy, which connects us with the energy of angels for physical, mental, emotional, and spiritual well-being. I may ask you some questions during the session, which you answer in silence to yourself. This helps you to process, to let go, and transform the issue we are working on. You may go into a refreshing sleep, feel warmth, tingling, or other physical sensations, see images or colours, feel emotions, gain new insights, become deeply relaxed or discover a current problem resolved. I am a channel for spiritual healing energy. Most people, especially the older people say, that I have the gift of healing, whilst others call me a shamane. During a session I use a combination of light, sounds, and other shamanic techniques. It doesn’t matter whatever you like to call me. The only thing that matters is that healing occurs. I AM NOT A PSYCHIC, IN THE WAY THAT I PREDICT YOUR FUTURE, RELATIONSHIPS OR ANYTHING LIKE THAT. MY WORK CONSISTS out of CHANNELLING HEALING ENERGY. I RESPECT ALL RELIGIONS, BELIEFS AND NON BELIEFS. Love is the Essence of the Soul Chrysalis. AND THE INVENTOR of APinna. APinna is a set of portable unattached arm supports/extensions made of medical polymer. I have created this device because I noticed that my clients were mostly fidgeting their arms during a session, due to a lack of space on the massage table. When people come for a session I love them to be comfortable, and that’s exactly what APinna offers, instant comfort and support. 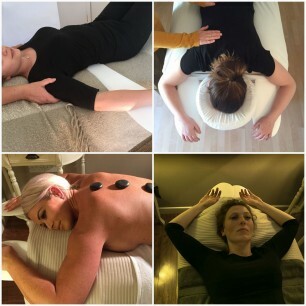 It also creates an instant atmosphere of caring for the client and allows the therapist to have easier access to the arms and upper body. APinna is made in Ireland and and is easy to use, store and clean. I’ve brought a few sets to Amsterdam so you can buy your own APinna set directly from me.